GaGoo font is an experimental script type designed by Andrei Olaru and published by Kreativ Font. 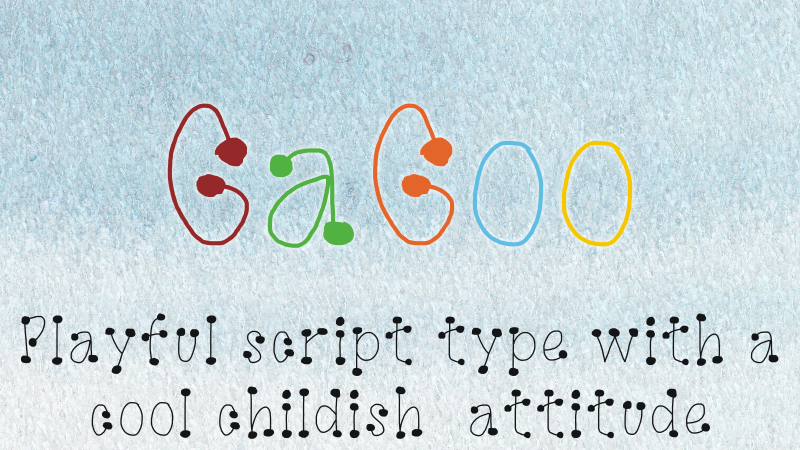 With its lines and bubbles, naive and childish look, this playful font can be used to create really cute designs. A font description published on Saturday, March 9th, 2013 in Andrei Olaru, Fonts, Kreativ Font by Andrei that has 7,293 views.